Although its population is only around 7,000, it welcomes some three million tourists every year. 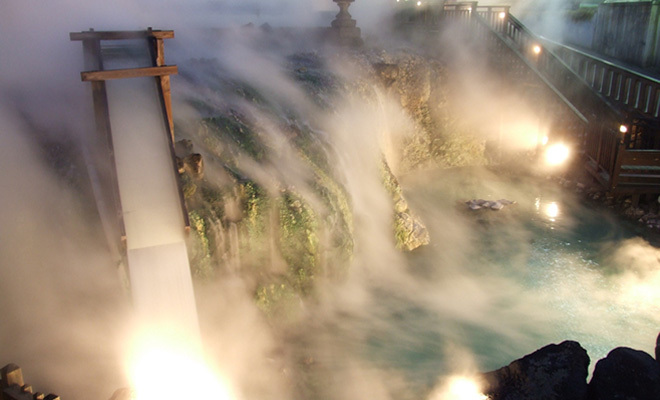 Click here for detailed information on Kusatsu Hot Spring, one Japan's best three hot springs found in the center of the town of Kusatsu. Click here to learn more about the natural spring water of Kusatsu Onsen, which is one of Japan's most acidic, kills almost all bacteria and microorganisms and has superior antibacterial power. Jikan-yu and yumomi are two bathing styles unique to Kusatsu Onsen that have been handed down since the Edo Period. Taking advantage of Kusatsu Onsen's qualities of both high temperature and acidity, these traditions have attracted the attention of people in all walks of life. Click here to see how you can experience them. Kusatsu Onsen chosen by the Japan's top travel agents as country's No. 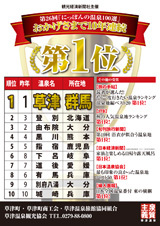 1 hot spring for 10 consecutive years in the 100 Best Hot Springs in Japan! Also, chosen for admission into the Hot Spring Hall of Fame! 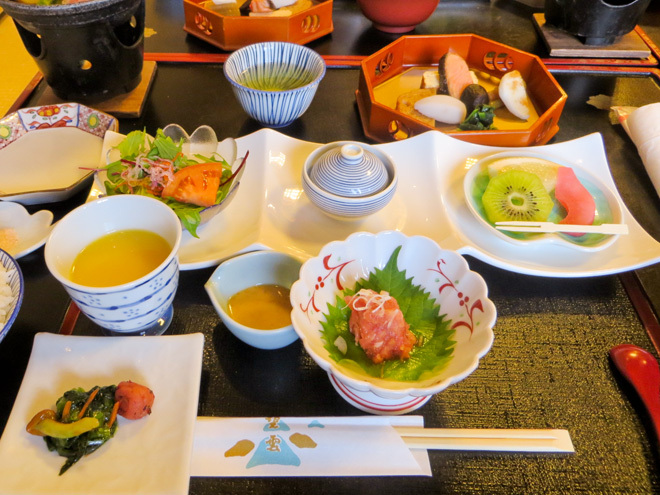 Click here to see the many restaurants in Kusatsu Onsen that serve varied menus. Each restaurant listing contains detailed data. 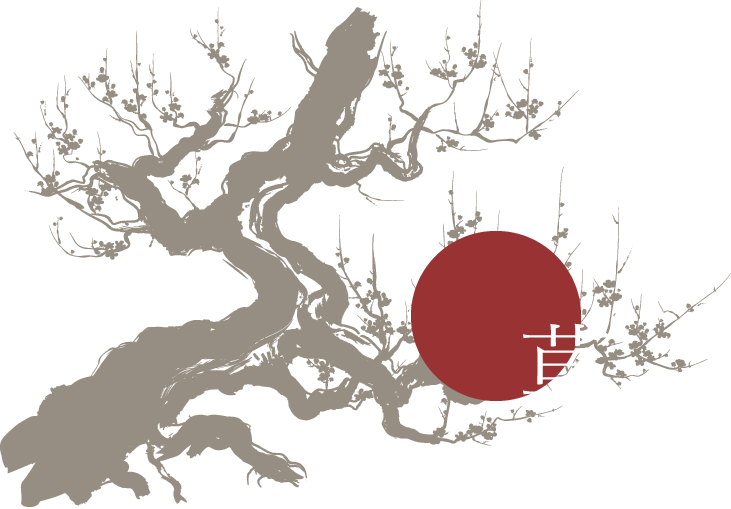 Click here to learn about the places that sell famous Kusatsu Onsen souvenirs. There are details on shops and information about the different souvenirs. 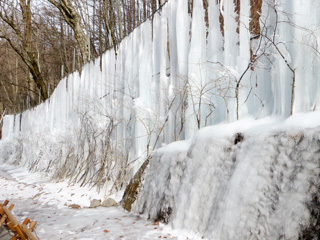 Click here for data on tourist spots located nearby Kusatsu Onsen including Mount Shirane, Lake Yugama, the Asama Onidashi-en Park and Shira-ito Falls.